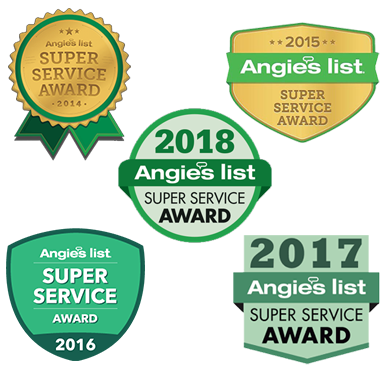 ANGIE’S LIST | SUPER SERVICE AWARD WINNER SINCE 2009! Painting to fit your Budget! As trusted Chicago Painting Contractors, our professionals at Peralta Painters offer affordable, quality services for your budget and aesthetic needs. Our exceptional workmanship is backed by our 100% satisfaction guarantee. Whether it's interior and/or exterior painting with color consulting, faux finishing, commercial painting, deck refinishing, remodeling, or pressure washing for your Chicago home or commercial business, you can trust us to do a great job. There's nothing like a fresh coat of paint or a newly restored deck to enhance your Chicago property. Deck Refinishing and Painting livens up the appeal and ensures your building materials are well protected for long use. At Peralta Painters, we offer beautiful finishes in quality paints to bring back the beauty and protection of your Chicago home or commercial business, expert deck refinishing, pressure washing, and more! Call today for your free estimate! As a Chicago family owned painting company, we understand how important your home is and how to treat it with respect when we work for you. We take great pride in our excellent painting techniques that help you create a beautiful home on the inside and/or outside. Keeping up with the protective paint on your Chicago home is the right decision. And having our professional painting contractors handle the project will ensure you have a quality, unique finish that you are proud of. 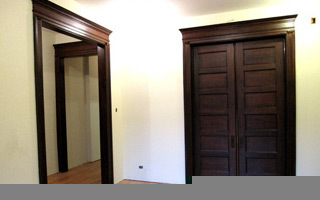 We ensure all our Chicago painting contractors have at least 10 years in the industry. In this way, we can promise to provide you a professionally painted home every time. Our quality workmanship will enhance your interior aesthetics and bump up your curb appeal to a new level. Give us a call for your free estimate or for any questions you may have. We'll be so glad to serve you! Chicago commercial business owners need painting contractors with the skill and tools to provide fast turn-around in order to get back to business as usual. Peralta Painters will see to it that your commercial painting project is finished quickly and handled with expertise from start to finish. Your new commercial space will look stunning when you hire us as your professional Chicago painting crew! 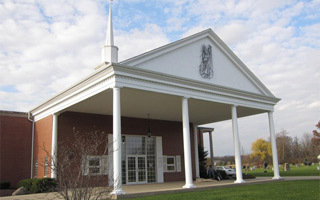 We offer many great services for commercial businesses including interior and exterior painting and pressure remodeling. If you are planning to update or remodel your building, let us offer you a free, no-obligation quote. You'll be so glad you called! Peralta Painters offers services for everything from small residential touch-ups through large-scale commercial work. Our highly skilled, licensed and insured Chicago painting professionals can provide you with the results you are looking for. We use only the highest quality painting materials to create gorgeous finishes that are also durable and resilient. You'll have 100% workmanship guarantee, an upfront quote, and the best customer service experience you've ever had! Be sure to check out our other services including deck refinishing and pressure washing, and watch for our special coupons and discounts! At Peralta Painters, we pride ourselves on our attention to detail and our consistent delivery of high quality painting services whether it's standard painting or gorgeous faux finishes. From our free painting estimates through the final brush stroke, we are dedicated to providing the highest quality painting service you can find in Chicago, which is why we offer you 100% Satisfaction Guarantee on all the work we do for you. Paired with amazing customer service, open communication, competitive rates, and an attitude of integrity and honesty throughout the entire process, we ensure you complete satisfaction every time. For professional painting contractors for your Chicago residential or commercial property, please call Peralta Painters at 773-803-6100 or complete our online request form.